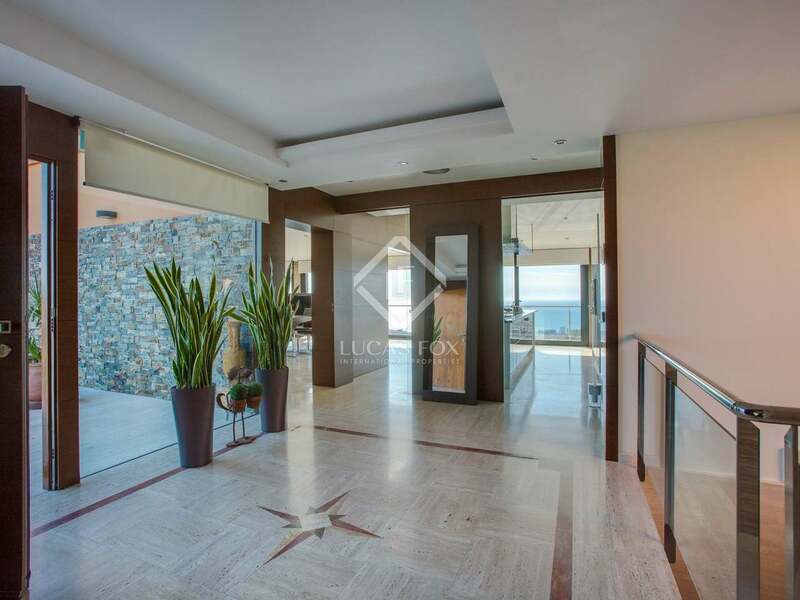 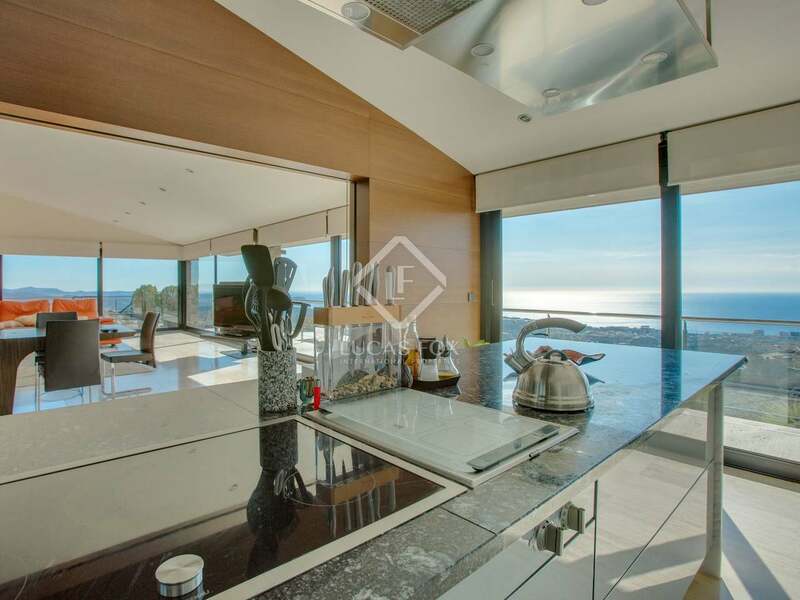 Magnificent 6-bedroom villa with indoor and outdoor pool and fabulous sea views. 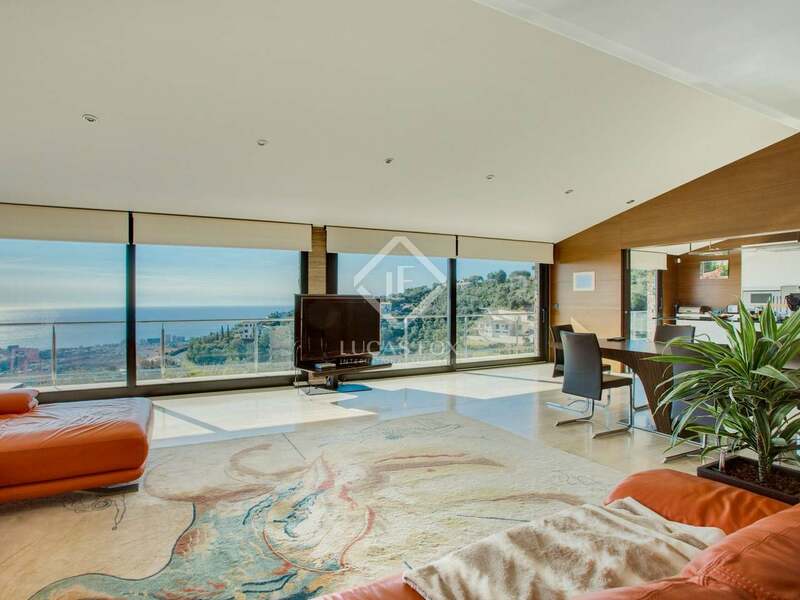 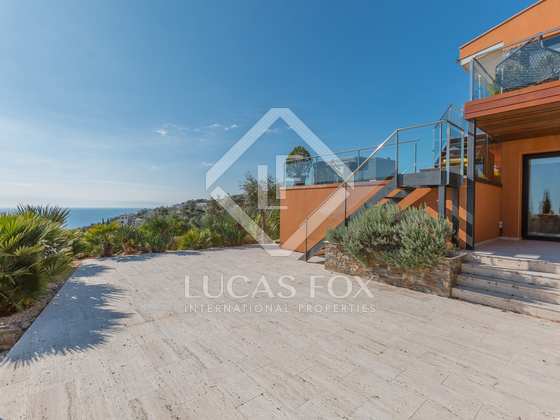 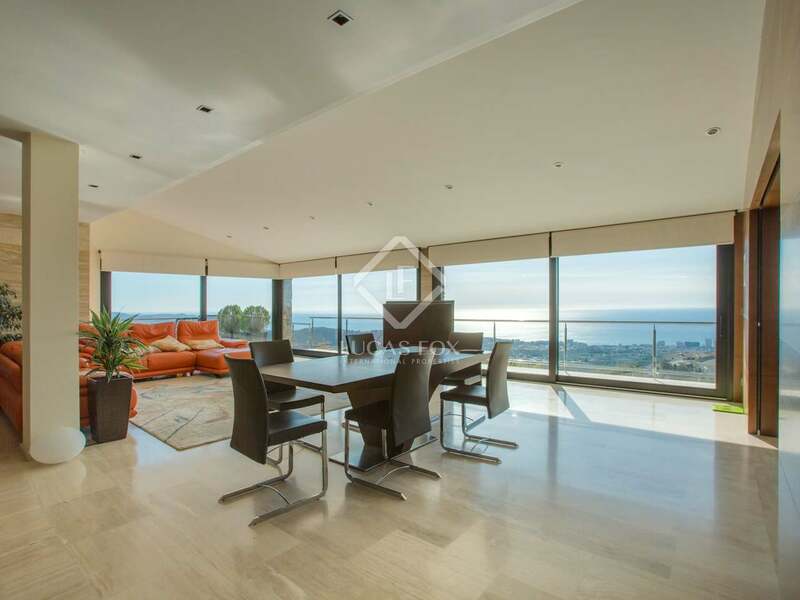 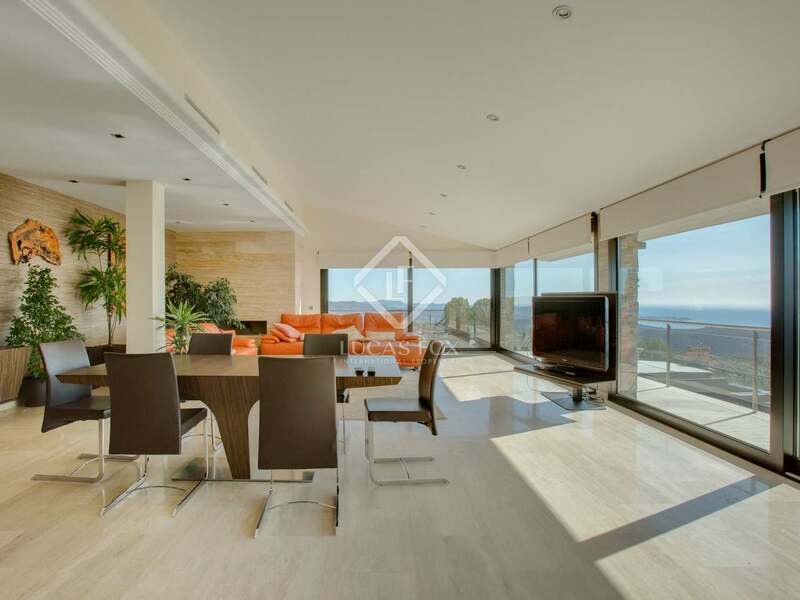 This spectacular Costa Brava luxury villa to buy is located in a prime location of an upmarket residential estate close to the coastal towns of S'Agaró and Playa de Aro and just 1,5km from the nearest golf course. 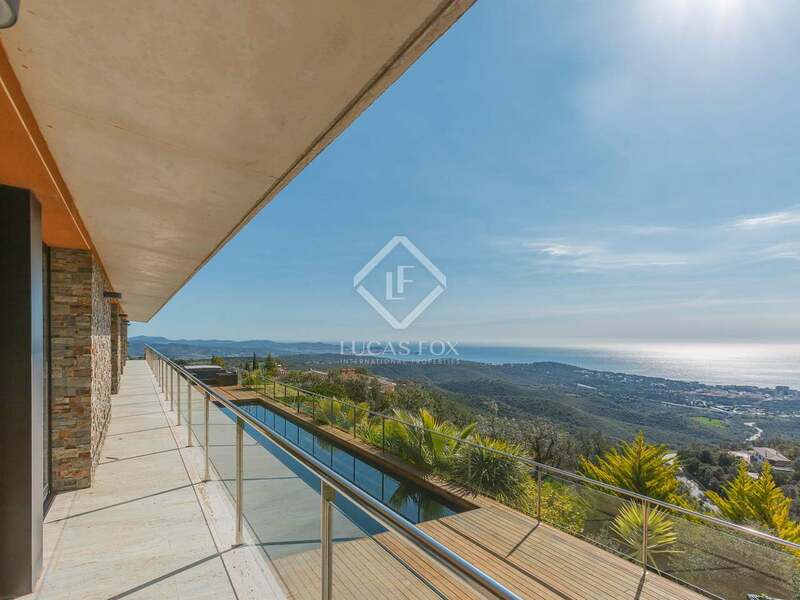 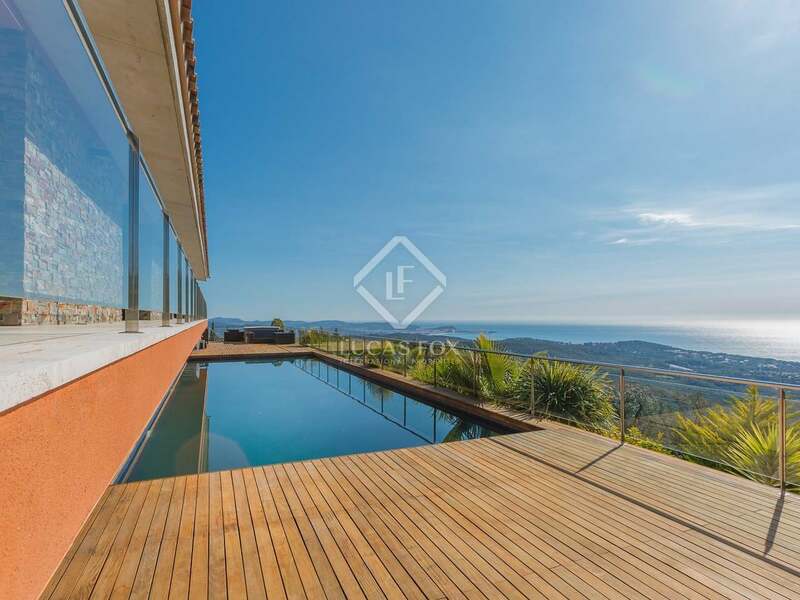 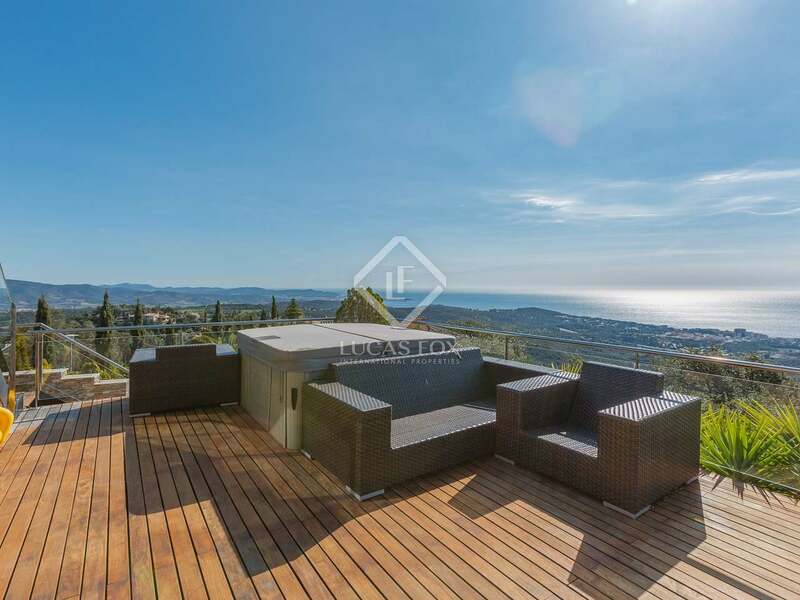 Constructed in 2010, the house is situated on a plot of 2,450 m² with beautiful panoramic sea views as well as mountain views. 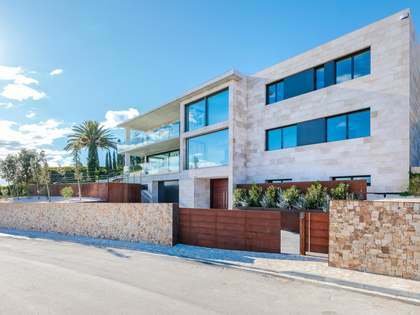 The house has been finished to the highest standards with travertine polished marble flooring, natural bamboo wall coverings and a beautiful wooden fireplace. 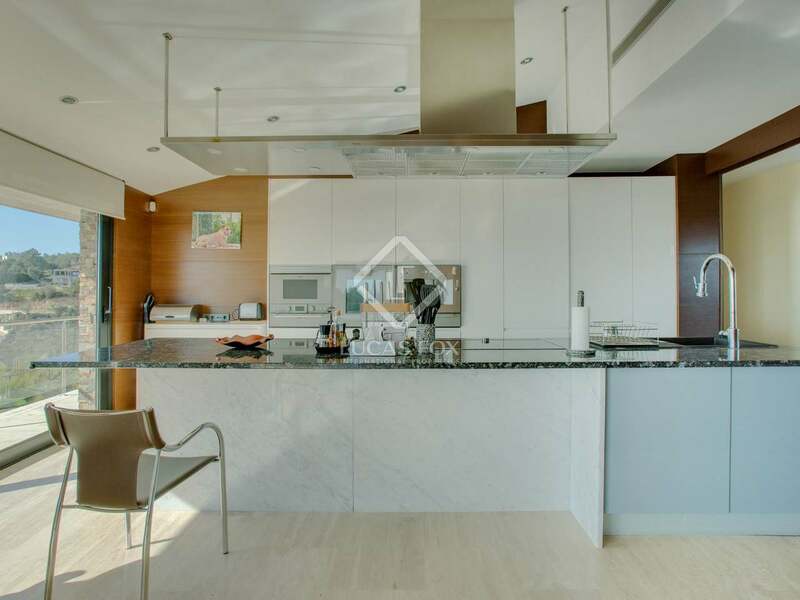 The kitchen is fully integrated with Gaggenhau appliances and a sliding door for separation if necessary. 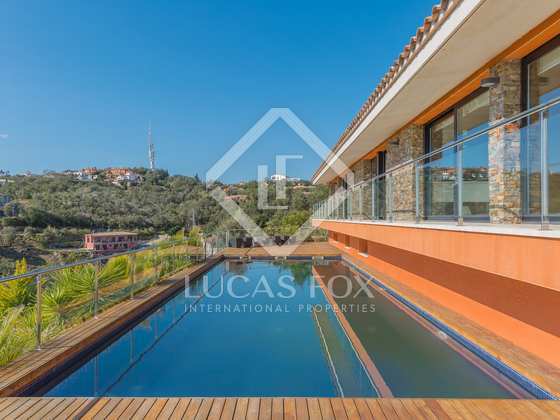 The living and dining area form part of the open plan layout and benefit from looking out directly over the pool and terrace area and with direct access. 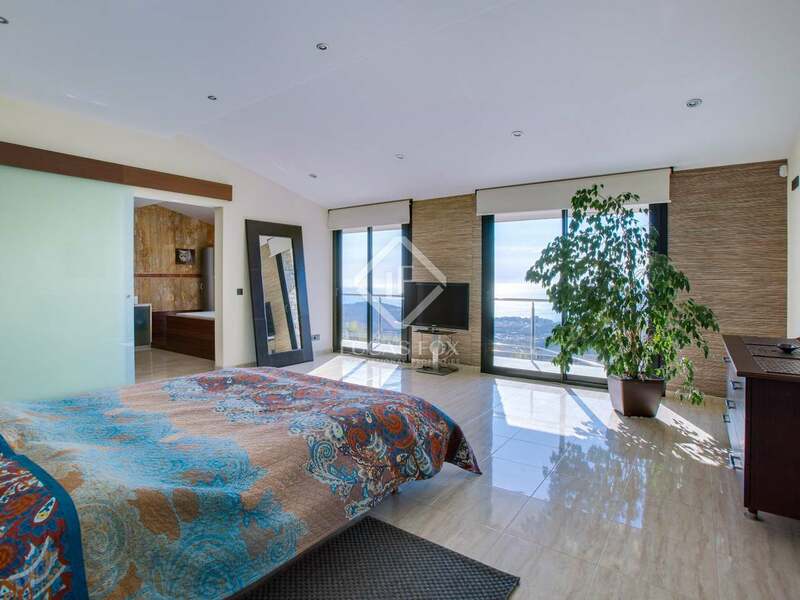 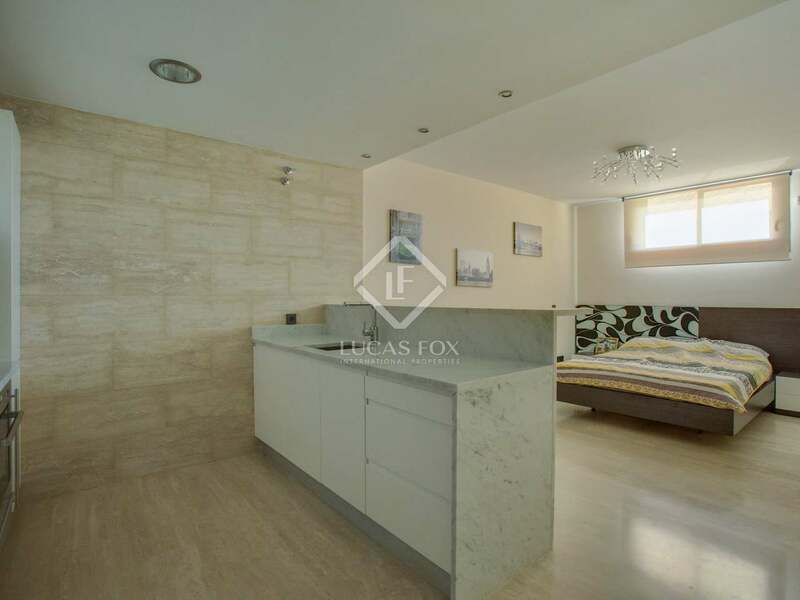 On the same level are the 4 bedrooms with central Japanese garden and cascading waterfall enclosed in a glass frame and maximizing light within the property and a further living room or children´s games room. 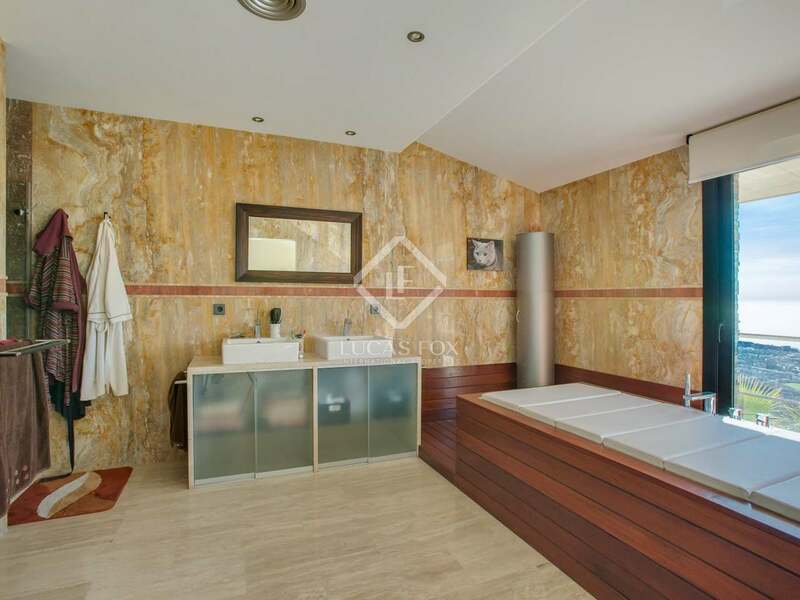 On the lower level there is an indoor pool, 6-person jacuzzi, changing rooms, cloakroom a separate 2-bedroom apartment with shower, a cinema/entertainment room, an air conditioned cellar, utility room, high tech machine room and garage for 4 cars. 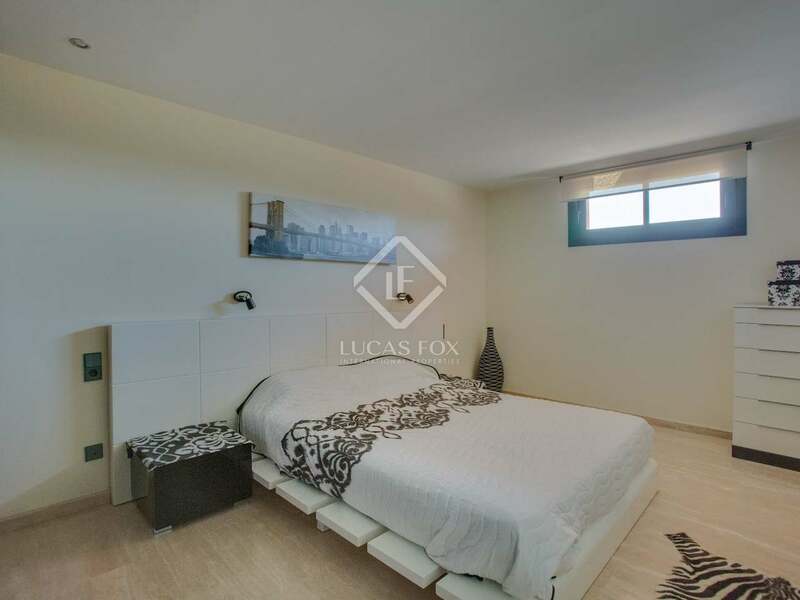 The property is equipped with a fully domotic control system and alarm plus a lift. 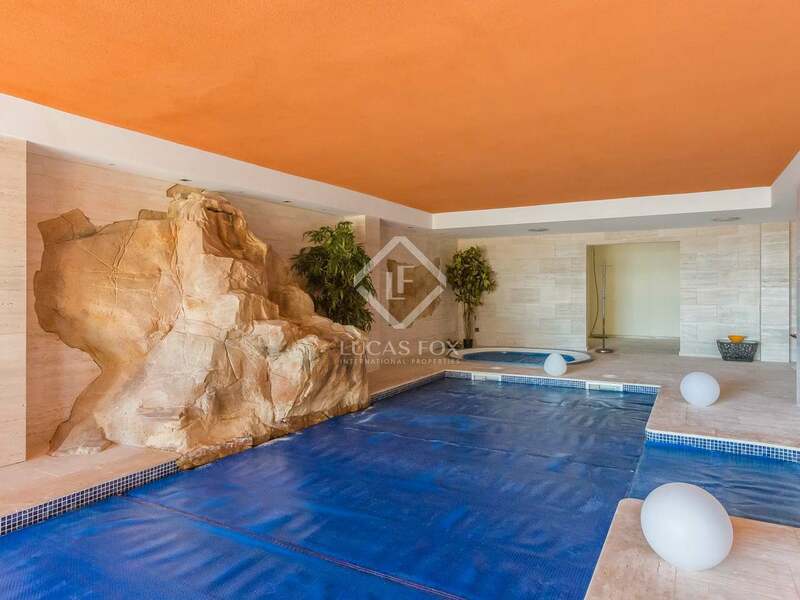 The pools have salt water using the electrolysis method. 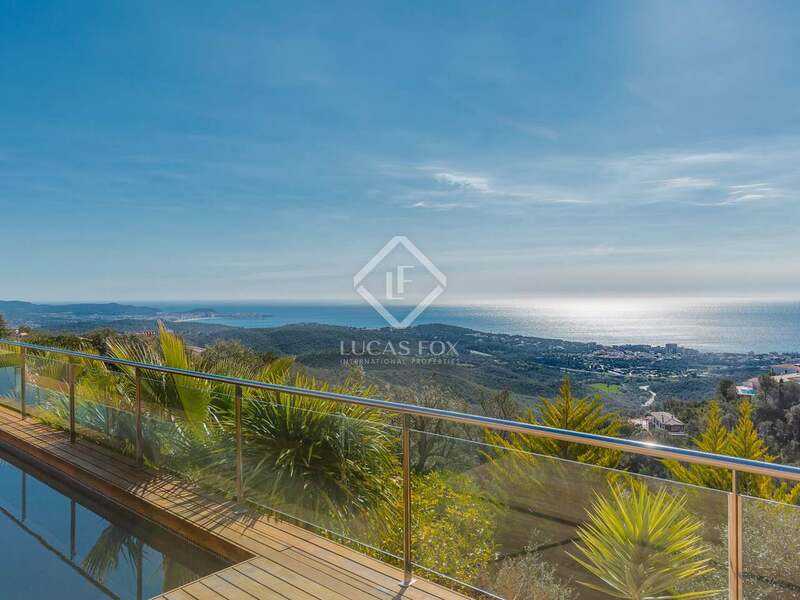 This beautiful luxury house offers state-of-the-art living and boasts some of the most spectacular views of the Costa Brava. 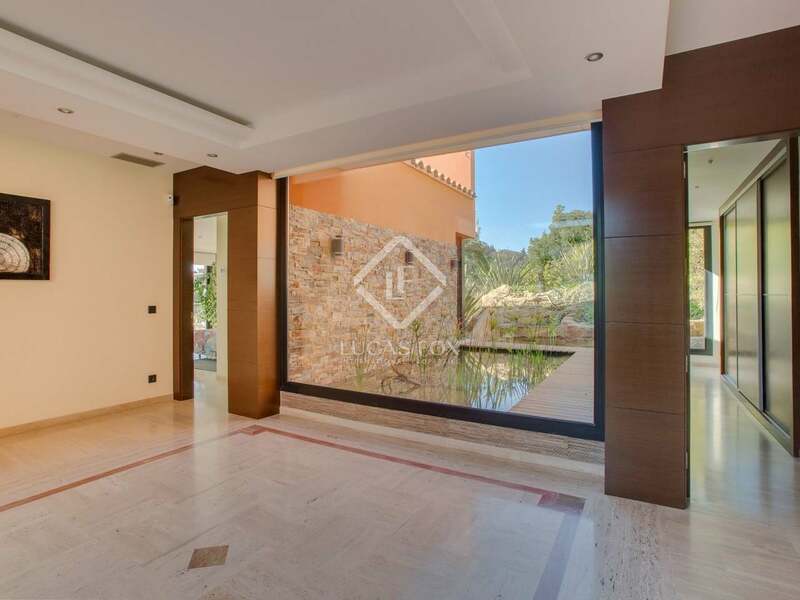 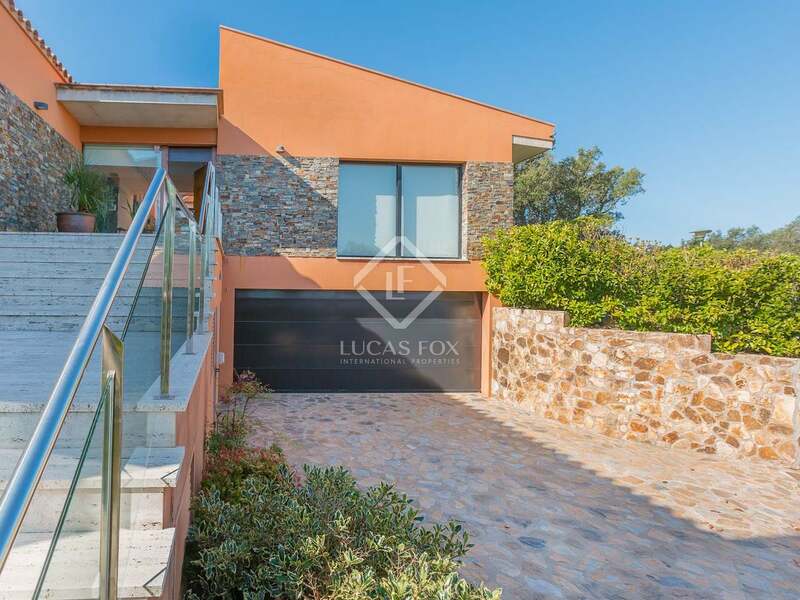 This luxury Costa Brava house to buy is located in an upmarket residential estate close to the towns of Playa de Aro and S'Agaro in the heart of the Costa Brava. 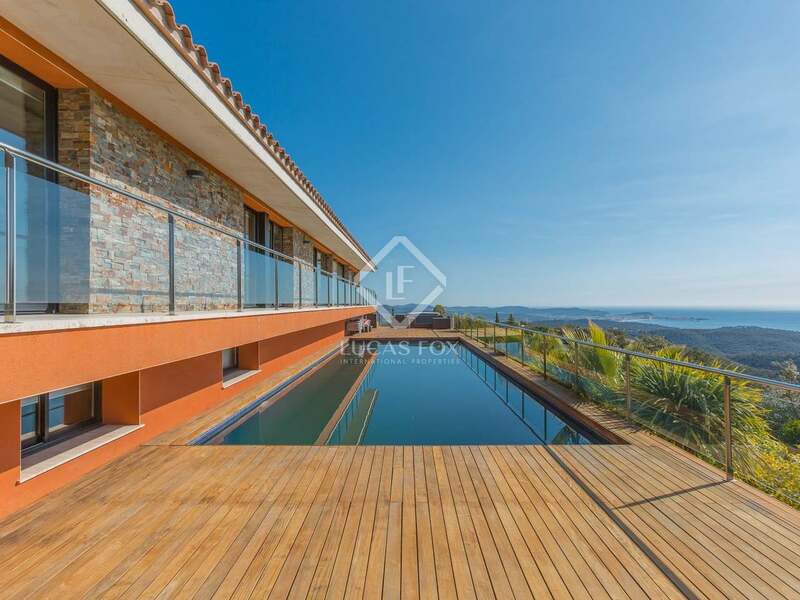 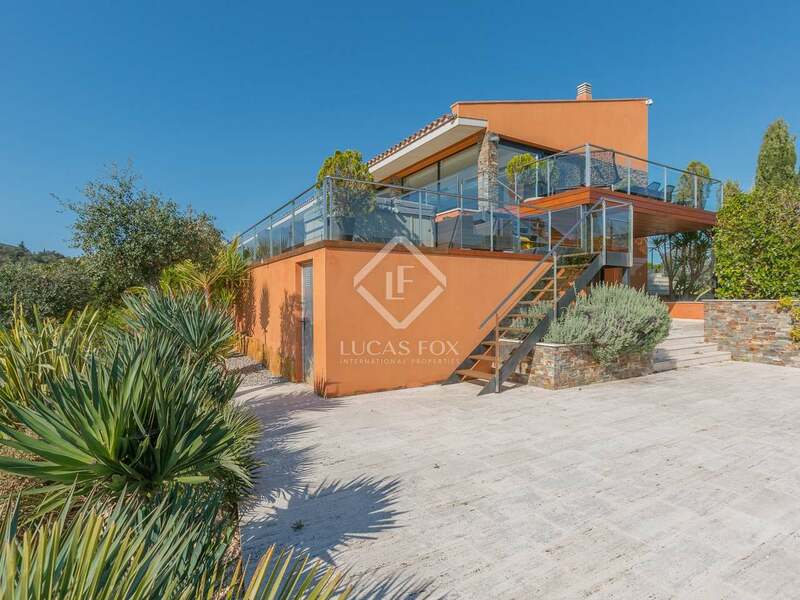 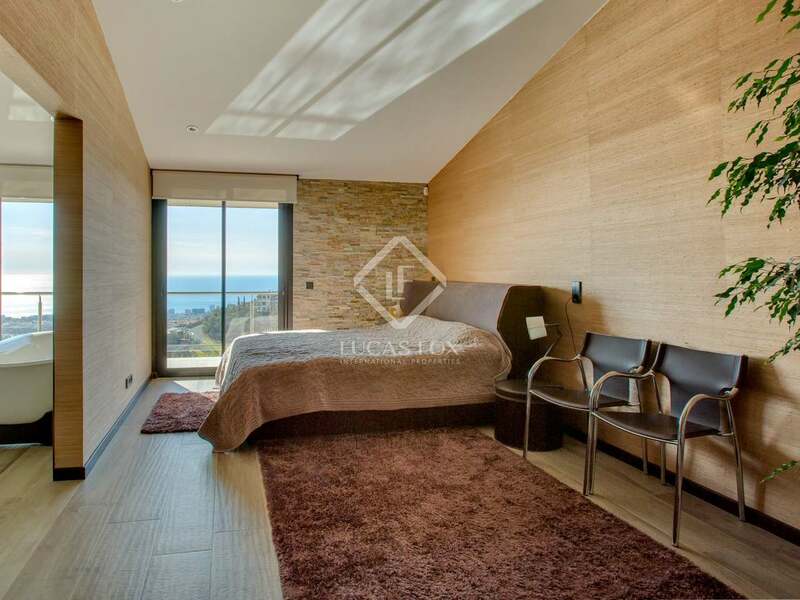 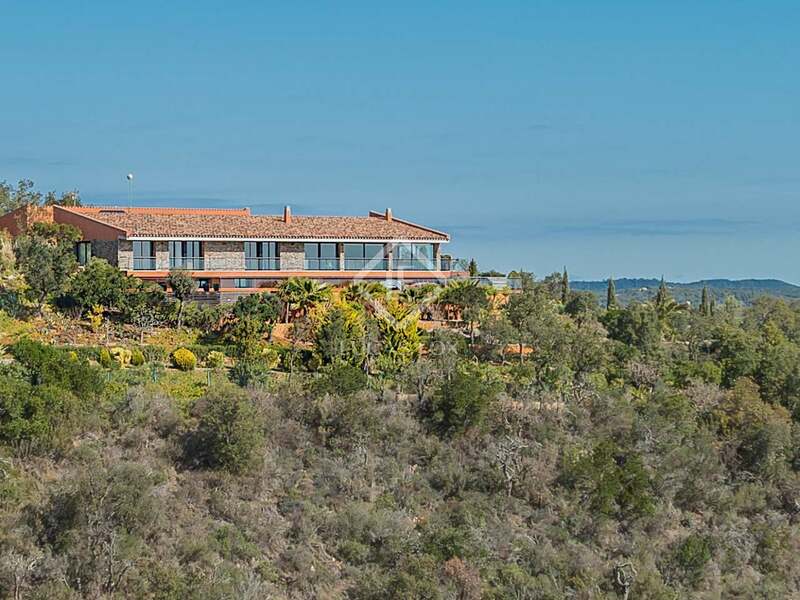 The property is located on a hillside enjoying panoramic sea views and is just 1.5km from the nearest golf club. 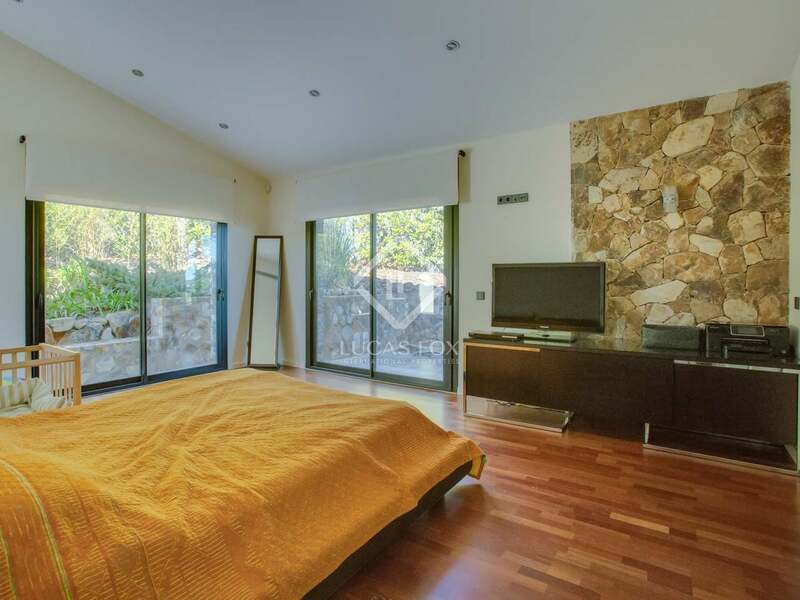 The nearest beaches are just a few minutes drive away and the house enjoys total privacy. 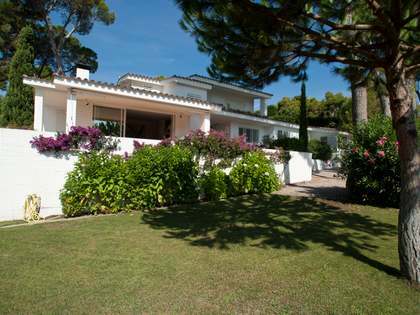 There are 3 international airports within a 1hr 30m drive, including Girona (30km), Barcelona (120km) and Perpignan (134km).